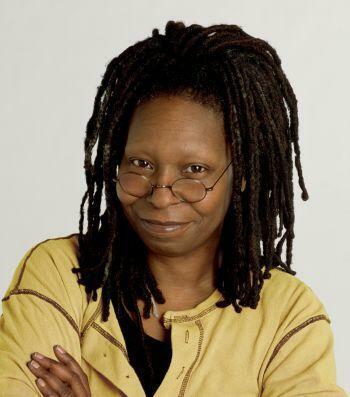 Whoopi Goldberg is an American actress, comedian, singer-songwriter, and media personality. Goldberg made her film debut in The Color Purple (1985) playing Celie, a mistreated black woman in the south. She received a nomination for the Academy Award for Best Actress and won her first Golden Globe Award for her role in the film. In 1990, she starred as Oda Mae Brown, a psychic helping a slain man find his killer in the blockbuster film Ghost. This performance won her a second Golden Globe and an Academy Award for Best Supporting Actress. Notable later films include Sister Act (1992) and its sequel (1993), Made in America (1993), How Stella Got Her Groove Back (1998), Girl, Interrupted (1999) and Rat Race (2001). She is also acclaimed for her role as the bartender Guinan in Star Trek: The Next Generation. Goldberg has been nominated for 13 Emmy Awards for her work in television. She was the co-producer and center square of the latest edition game show Hollywood Squares from 1998 to 2002. She has achieved success on Broadway and in the music industry, and is one of 10 people who have won Academy, Emmy, Grammy, and Tony Awards. In addition, she has won a British Academy Film Award, four People's Choice Awards and has been honored with a star on the Hollywood Walk of Fame. Currently, Goldberg is moderator and co-host of The View, which earned her an Emmy in 2009.